Video content is the fastest moving target in marketing since SEO and social networks, and it’s only gaining steam. Last year, video ad spend in the U.S. alone was nearly $15 billion, up from $12.5 billion in 2016, and it’s expected to climb through 2020. Couple this demand with the most complex form of digital content creation, video production, and you have a marketing juggernaut that requires an approach all its own to harness effectively. Meet the video production retainer. At its core, a video production retainer provides access to video production services over a set period, usually six to twelve months, but the relationship it builds between your business and your video agency provides so much more. Video marketing, like all digital marketing, is about people. It’s about connecting with people in a way that is honest, genuine, and relevant – connecting in a way that can be trusted. Successful businesses achieve this by fostering the same connections within their teams and strategic partnerships. A video production retainer establishes this trust through long-term collaboration and opens the door to valuable feedback, improvement, and optimization of your marketing efforts that cannot be achieved through a “one and done” project mentality. A video production retainer also allows your business to harness the capabilities of an “in-house” video production team and optimize content-driven communications to key stakeholders. Working with the same video production team provides consistency, reliability, and most of all centralized access to your final video assets. After all, even the best videos are useless if they’re not secured, organized, accessible, and able to be distributed at a moment’s notice. Most people are interested in the bottom-line, and buying in bulk saves you time and money. Consider this, you have a trade show coming up and need 1500 pieces of promotional schwag to give away at your booth. Will it be more cost effective to place separate orders for each item or group them together in a single order? Furthermore, the supplier can probably produce some extra variations at little to no additional cost if they know about your order up-front. Video production is no different than the rest of your marketing collateral. Your video content must be fresh and frequent. Add that to the abundance of messaging your marketing team is tasked with throughout the year and suddenly you are dialing up a substantial amount of video communications. High volume, yet high quality video content can be achieved, often at breakneck speeds, if you have a reliable video production team on standby through a video production retainer. A video retainer is an agreement between your business and Braly Image Group that allows you access to our billable hours for a set period of time at a discounted rate. In simple terms, you pay us to act as your in-house creative video department for a set period of time and for pre-determined hours. A video retainer gives you first rights to a wide range of professional creative video services we offer without the overhead associated with a permanent employee on your end. Our goal with a retainer is to have an agreement that’s good for both parties and if it’s not good for both, it’s not good for either. WHAT ARE THE ADVANTAGES OF A VIDEO RETAINER? Typically our projects are bid on a per project or per line item basis. We calculate our expenses on hourly and daily rates but bill a turn-key price because we want to deliver our services to you for exactly what we said we would. We really do think it’s all about relationships, and we know what it’s like to think you’re getting a project for one price and then get billed for another. By getting a retainer, you will know exactly how many hours of work you are getting. You will have first rights to our video crew, which means that your projects go to the front of the line. Plus, since you are agreeing to a set number of hours, we can offer the work at a discounted rate. The more hours you commit to, the lower your hourly rate will be. 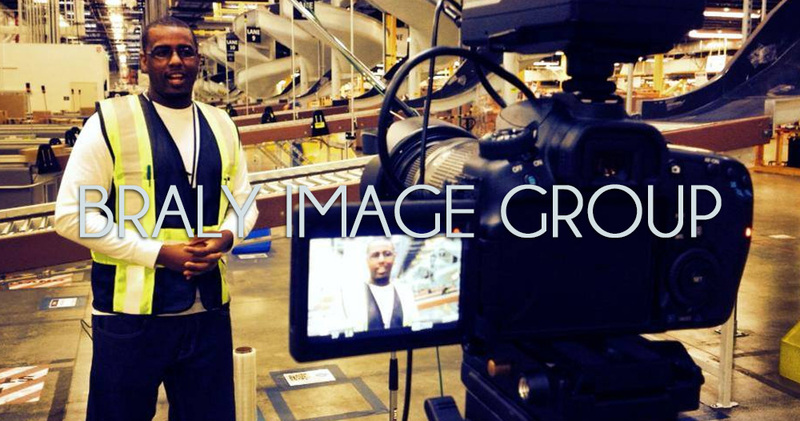 With a video retainer, Braly Image Group retains a predetermined number of hours exclusively for you. So even if you have rush work, or an unplanned need, we can respond to your needs immediately. It’s like having an in-house video department. If you have multiple small projects, we eliminate the need to seek estimates, manage multiple contracts, and pay multiple invoices. Basically, you are pre-purchasing the time to accomplish the work you need. Since you are essentially pre-purchasing time, you will get a list of the number of hours we worked on your projects each month. Typically, the number of hours in the retainer agreement isn’t perfect right off the bat, so to find the right balance for both of us we make the first 3 months somewhat variable and then base the remainder of the hours on our history. WHAT HAPPENS IF YOU DON’T USE THE EXACT AMOUNT OF HOURS? You never will, but the hope is that once we find the right baseline for your needs we can get really close and over the course of a year be within 10%. If you go over the budgeted number of hours we will alert you and charge at the predetermined rate or give you an estimate for the project at our retainer partner rate which is normally about 20% lower. If you don’t use all of the hours, you eventually lose them. However, we usually will roll over hours from one month to the next the first month, but after the second month, we have to let them expire. Hopefully that doesn’t happen often. WHAT TYPES OF SERVICES DO I GET WITH A RETAINER? Video Pre-Production, Video Production, Video Editing, and Video Post Production are of course included. But we also offer photography, graphic design, creative consulting, video marketing, writing, editing, storyboarding, photo retouching and various other services. What’s important to know is that anything with a direct overhead or expense is not included – this includes things like rentals (set, wardrobe, location, or extra equipment), craft services, extra crew, talent, and a few others. There are just too many variables for us to be able to include such items. Still have questions about video retainers? Please contact us. We’d be happy to give you all the details and help you decide whether a retainer is right for you and your video needs. And we love making new friends, so even if a retainer isn’t right for you, we’d still like to meet you. An award-winning producer of commercials, promotional, industrial, and branding videos, along with several original television properties and documentary programs for over nearly two decades.